Maronite Middle School Qobbeh. i'm learning English very well and i also speak it very well.its a easy language , but my Teacher speak fast. DAY 2! My favorite language is English! Why my favorite language is English? 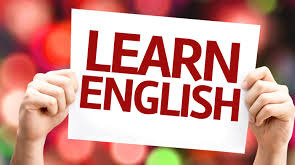 English is a West Germanic language that was first spoken in early medieval England and is now a global lingua franca. Named after the Angles, one of the Germanic tribes that migrated to England, it ultimately derives its name from the Anglia (Angeln)peninsula in the Baltic Sea. It is most closely related to the Frisian languages, although its vocabulary has been significantly influenced by other Germanic languages in the early medieval period, and later by Romance languages, particularly French.English is either the official language or one of the official languages in almost 60 sovereign states.